This project was an exercise to explore the act of drawing, literally in gap, which was set up between two pieces of paper less than a pencil's length apart. A pencil was sharpened on both ends. 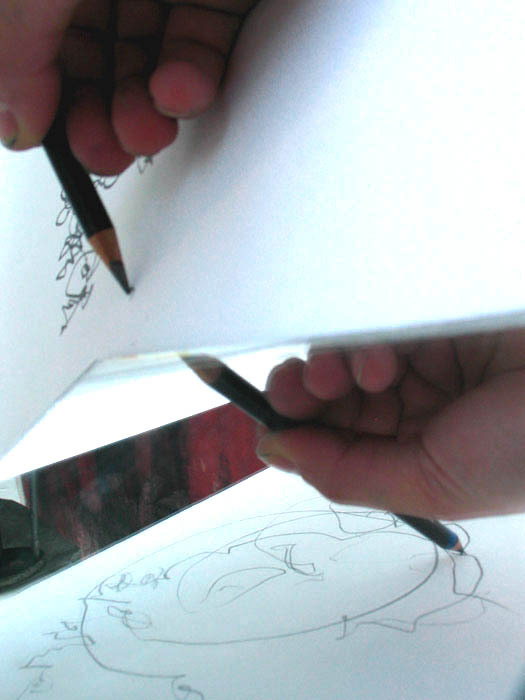 While doodling on the bottom piece of paper, the movement (and restraint) of the pencil was recorded on the upper piece. The degree of restraint depended upon the size of the gaps.